I am already part of this institution since the beginning. I am an ISPD Protocol and Diplomacy alumni, I am ISPD Protocol and Diplomacy participant and an expert in the ISPD Protocol and Diplomacy. I am part of the history of this institution and I want to continue to support their research and their activities. I become an observer just for 90 euros per year - 0.2 cents of the Euro per day and I support Innovation in Diplomacy and receive the benefits of being part of this Network. I am a full time Diplomat, a Protocol officer and professional at an international organisation pr at a non profit. 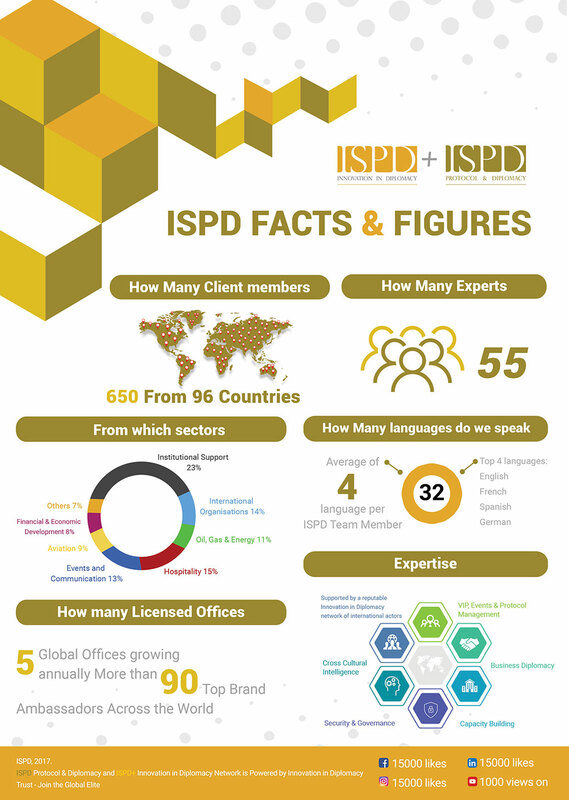 I am creating a first real connection with ISPD+ Innovation in Diplomacy. I am interesting in the discounts in education, training and to belong. I become an observer just for 130 euros per year - 0.35 cents of the Euro per day and I support Innovation in Diplomacy and receive the benefits of being part of this Network. I am a full time in-house professional in a company, a corporate diplomat, a political activist, a communication progressional and I am active on an international level. I believe that innovation is essential in the changing world and global businesses. I understand all the benefits I can have by being part of the network of the future of negotiations. I become an Innovator just for 250 euros per year - 0.68 cents of the Euro per day and I support Innovation in Diplomacy and receive the benefits of being part of this Network. I am a visionary because I do not belong to the above mentioned groups but wish to support the ISPD+ Innovation in Diplomacy as an Individual and a professional. I know this networks are essential to make a difference by supporting the bridge between the past and future: Diplomacy and it's unpredictability. I am giving back to society what was given to me. Take a closer look at the benefits of Corporate Membership to your employees, your organisation and your business solutions. Companies who are not embedding corporate diplomacy at the core of their business strategy today will no longer be relevant tomorrow. Companies who are innovating in their diplomacy, upgrading their public affairs standards and becoming strategic in their relationship management will be the successful leading brands in the economy and pioneering criteria across industries. Innovation in Diplomacy Corporate Membership is the unique leading peer to peer, learning and networking group designed to support companies in meeting their relationship management goals and ultimately become those leaders that can only excel with Innovation in their visibility, their interactions, their results from their PPP public private partnerships to their communication departments, corporate diplomacy needs to their global affairs. 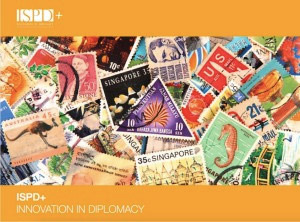 Learn more about what it means to be an Innovation in Diplomacy Corporate Member download the PDF document here. Our Corporate Members Club are Companies, Multinationals, high corporations, Law Firms, are Diplomatic Missions from G20. Technical help in Policy and Technical Team is available to provide assistance. The team has particular expertise in international protocol, Corporate Diplomacy, Relationship management, Cross Cultural Intelligence and global Affairs but can also provide advice and sign posting to additional sources of help on a wide range of diplomacy queries. Access to networking concept events that are an integral part of our Membership and provide many opportunities for networking, best practice advice and further development. Corporate Members are able to nominate an employee to participate in any of our events in Brussels, worldwide or in Webinars and eLearning. Free or discounted publications in ISPD+ Innovation in Diplomacy publications production including the Practitioner series, reports and guidelines on best practice, which are available free or at a reduced price in the areas of international protocol, Corporate Diplomacy, Relationship management, Cross Cultural Intelligence and global negotiations. Discounts on Advertisements of 10% on advertising in publications and a 10% discount on Job Advertisements. Corporate Referrals on record of information on the skills and experience of consultancies which are Corporate Members to allow us to provide a referral service to anyone contacting us looking for specialists. Training Content Guidance is offered and Advice is available on the content of education and training courses, and assistance can be provided with development and content of courses or modules. Key areas of focus include, Employee Engagement, Communications, Consumer Behaviour, Making the Business Cases in international protocol, Corporate Diplomacy, Relationship management, Cross Cultural Intelligence and global Affairs is available at a reduced rate to members for their corporate universities, training and development or team buildings. Working parties formulating best practice guidelines where the Members are routinely consulted in the production of Institute guidelines and have the opportunity to become members of Institute working parties and influence best practice. To-date working parties have developed guidelines for corporate diplomacy departments, manuals of protocol, relationships managers, VIP management guidelines, team building, administration best practices for global affairs, among much more. Become part of the Corporate Member Club just for 2030 euros per year - 6 Euros per day and I support Innovation in Diplomacy and receive the benefits of being part of this Network. Our Education and Diplomatic corporate membership are embassies, high commissions, representation officers, diplomatic academies, colleges and educational institutes, Diplomatic Missions Embassy from Non G20 or EEA and foundations. They are not only part of our corporate members and receive all the benefits of the Corporate Member Club. They favour as well the opportunity to forge a strong relationship with ISPD+ Innovation in Diplomacy Network and ISPD Protocol and Diplomacy providing them with the products and services that will help them offer industry recognised standards certification in International Protocol, Corporate Diplomacy, Economic Diplomacy, Cross Cultural Intelligence of their teams and communities. A royalty-free license to host an Event �On the Road Conference� set on the college or university streaming or Live. My Organisation become part of the Education and Diplomatic Corporate Membership just for 1590 euros per year - 4.3 Euros per day and I support Innovation in Diplomacy and receive the benefits of being part of this Network. ISPD MA students Gregory Dehandschutter and Vassili Smolyak organised yesterday the Belgium Cultural Night at the Ines Pires Gallery. Representatives of the Diplomatic Corps, ISPD Experts, ISPD Summer School Participants and special guests enjoyed many fascinating culinary aspects of the Belgium culture and learned about Belgium history e.g. about the 150 years of diplomatic relationship of Belgium with Japan. ISPD Founder and CEO Ines Pires resumed the now ending academic year and gave an outlook on the highly interesting national and international ISPD projects of the new academic year 2016/2017 starting next October. Have a great summer and we hope to welcome you soon again at the next ISPD+ Innovation in Diplomacy events or as a participant in our MA Programme, PG Programme, Online, Intensive or Crash Course!